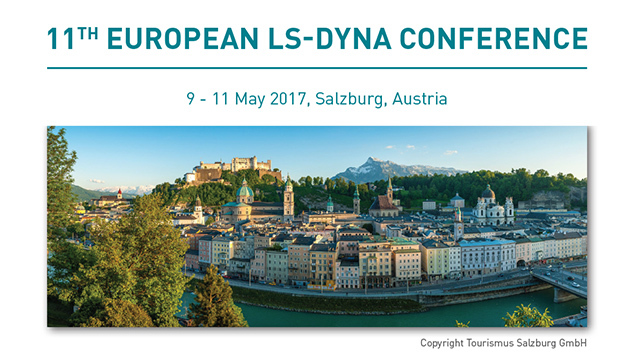 Proceedings of the European LS-DYNA Conference 2017 available – DYNAmore Corp.
With more than 190 presentations, 8 Workshops and 500 participants the 11th European LS-DYNA Conference was again a great success. It took place from 9 to 11 May 2017 in the beautiful city Salzburg, Austria. As is always the case for these international conferences, the proceeding papers are archived at www.dynalook.com. In addition, renowned speakers from industry and academia provided keynote presentations on their latest developments. Also special sessions were offered, in which the simulation environment of LS-DYNA was discussed in detail. The agenda also includes a series of workshops and seminars that provided an introduction to the application fields of LS-DYNA.